We are starting the new year cheerfully, with three mentions in well-known magazines. 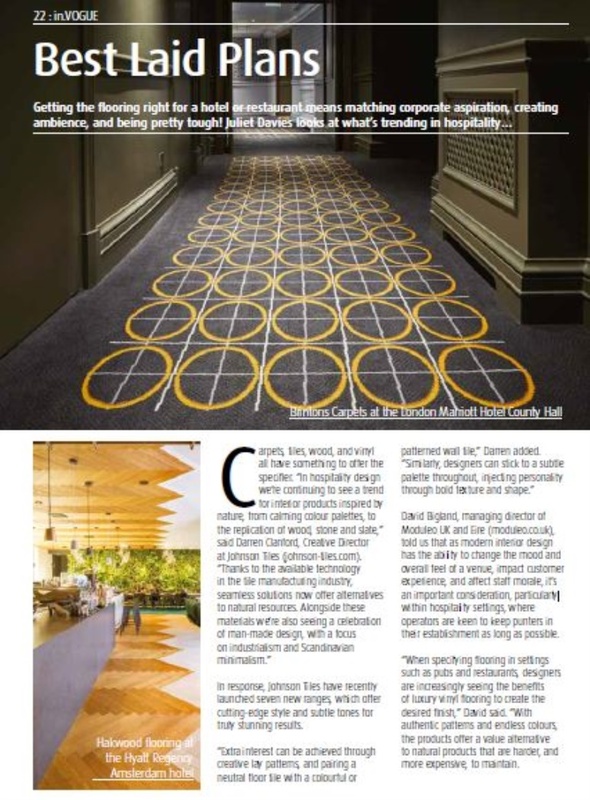 For InDesign Magazine, our Marketing Manager was interviewed about the trends we see in flooring. We see an increased request for customized flooring, statement flooring patterns and bold use of flooring on other surfaces, like walls, ceilings, stairs and bars. 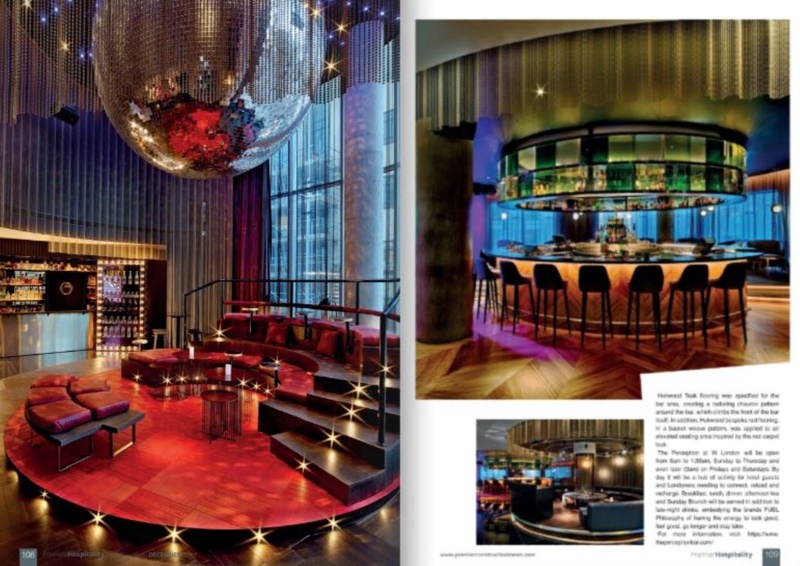 The article in Premier Hospitality touches that last trend, with the daring design of the W Hotel London. It features Hakwood teak flooring that climbs the front of the bar and bespoke red flooring in an elevated seating area inspired by the red carpet look. Lastly, Sleeper Magazine published a peek of our new Wall Tile designs. Have you seen our newest designs? Visit our Wall Tile page and be inspired.